What makes up a marketer’s dream job? 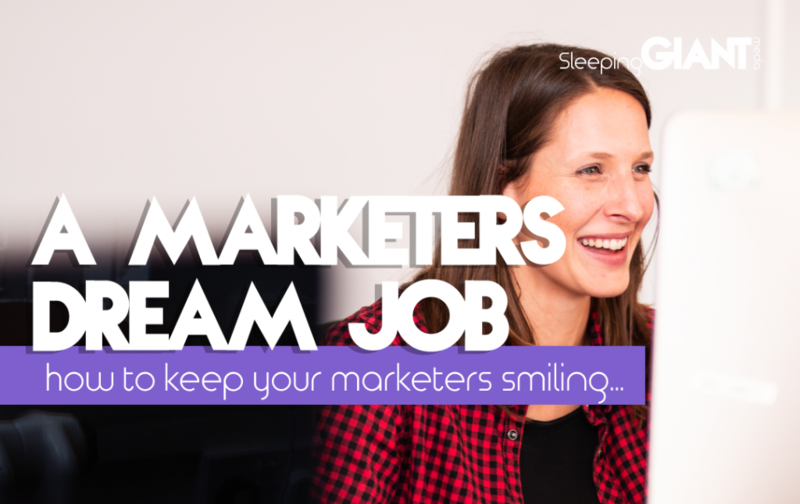 Home > Blog > What makes up a marketer’s dream job? New Year, new job. For many people, January signals a time to take a leap of faith – time to switch up their life and go on the hunt for greener grass. That’s partly why the first working Monday of the year is also dubbed ‘Massive Monday’, due to the record number of people who apply for new job positions on that day alone. 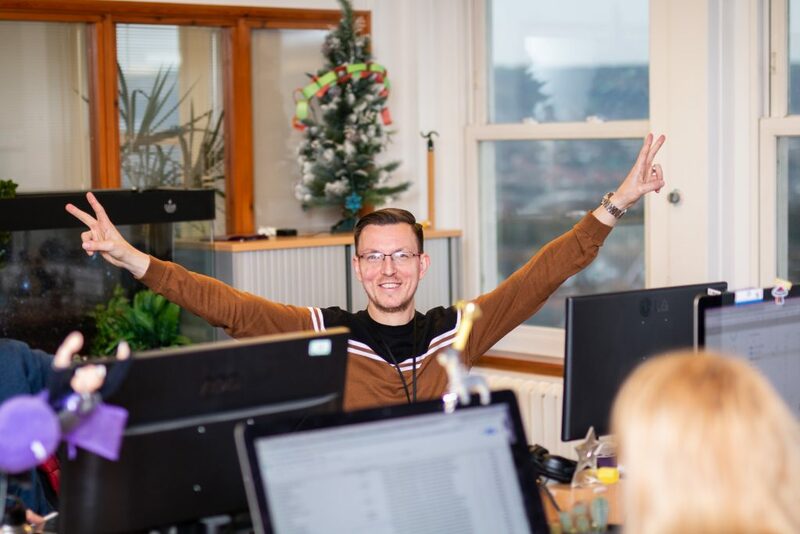 In fact, Reed.co.uk said that around a million job applications were made during that first full week of January in 2018 – showing just how many people are on the hunt for the perfect career move as we shift into a new year. But just what is the perfect job? Firstly, the industry you’re in, or that you want to be in, plays a big part of this. For the sake of keeping things close to home, we’re going to focus on marketing. And it turns out that the answer to that question is a hotly debated topic in the marketing world – and one that’s been in the news very recently. Earlier this week, CV Library conducted a survey designed to identify what a marketer’s dream job looks like, through collecting responses from 1,200 UK workers. While some people see money as a crucial factor in job happiness, the study found that almost 28% of those surveyed would be happy to work for £25,500, particularly if this was paired with other benefits that they desired. This includes the opportunity to work flexible hours, which 66.7% of the respondents said would be a big appeal to them – with only 22% of people being happy to work a traditional ‘9 to 5’ shift. 44.4% of people said they’d like 30 days of annual leave per year, while other desirable benefits included health insurance, with 64.7% agreeing, and paid sick leave, at 47.1%. A whopping 70.6% said that openness to working from home would also be a substantial lure. Location was another big factor, with London coming out on top – unsurprisingly. Although we’ve got a few thoughts of our own about how life can be just as sweet outside of the bright lights of the big city; check out our blog about running an agency on the coast to see what we mean. 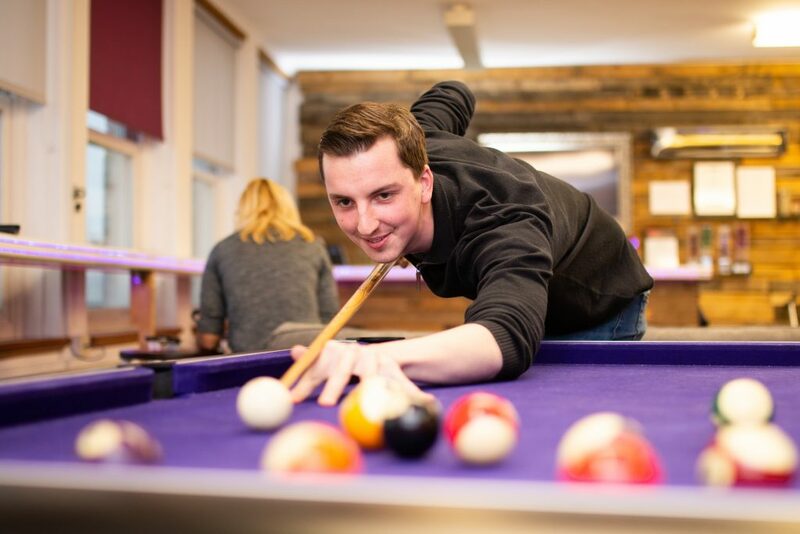 At Sleeping Giant Media, we know that life is about balance – which is why we try and provide that for all of the awesome people that work here at GIANT Towers. We agree that benefits are important, which is why offer a healthcare cash plan, monthly team lunches, childcare vouchers, and health support tailored to emotional, mental, and physical needs. On top of that, we love to get together and celebrate the wins – whether that’s at a summer party, Christmas party, or just a cheeky Friday Beer-O’Clock drink. Oh, and we forgot to mention our Unlimited Holiday policy. Yes, you did read that correctly. Coupled with flexible working availabilities that work around the individual, the business and their clients. If that doesn’t inspire you to take a GIANT leap into GIANT life, then what could?! Marketers want this, and we’re offering it. All of this awesomeness doesn’t mean a GIANT can’t dream though, right? So I thought I’d see what some of the GIANTs would class as their dream client – and got some interesting responses. For many of us, this comes down to our interests and passions. Laura and I are lured in by the fashion industry, in part due to hopes of a discount or invite to a fashion show (hit us up if you’ve got connections), while music lover Tom picked a record label, and Jack would love to work on a company like Virgin Holidays who are always pushing boundaries. Our Head of Client Services Justine would love to work with more charities, or the NHS, to have a really positive impact through the work that occurs, a sentiment that was backed by Heather, who would particularly love to work with Mind or SANDS on their digital activity. So, now that we’ve told you ours, what’s your dream job? Think your next move could be at GIANT Towers? Check out our careers section for more information on our recruitment opportunities, or drop us an email if you want to know more. Like what you have just read? Why not give it a share using the icons below? Love this blog! Really shows that it isnt about money, its about having a work environment that fits into your life and visa versa! Good Read!